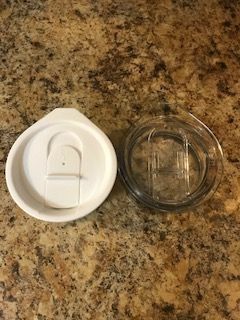 Our new clear lid allows you to easily see inside your Hopsulator TRíO so you know when it's time for a refill! Ellen T. Reviewed by Ellen T.
I think the clear lid looks much classier with the rose gold Trio. I hope that the glitter series comes with clear instead of white in the future.